The summer holidays had arrived. The small village of Tapanam was bustling with activity. From sun rise to sun down, little boys and girls ran around the village, played on make-shift swings made of car-tyres, played hopscotch, threw stones to fell ripe mangoes from the orchard nearby, and ran for their lives when the watchman chased them. Games were quickly played and dropped, out of boredom. New ideas surfaced, quarrels broke out, food was consumed in huge quantities; and parents and grandparents watched, bemused. On one such day, a little boy named Kavin came back from his grandparents’ home with a marvellous kite. 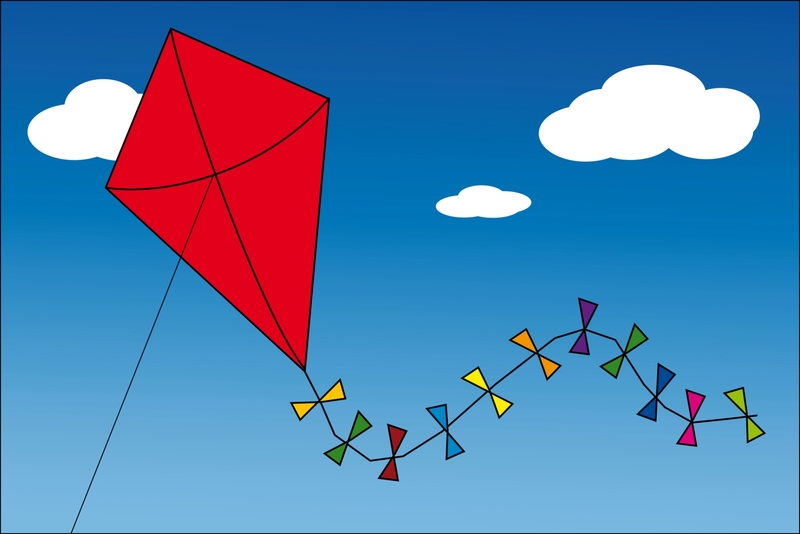 The kite was a beauty, with stripes of yellow and magenta, and a nice fluttering tail of green. Kavin came roaring down the street with his kite, and all the children ran behind him in glee. Another blissful afternoon flew by, and another, and yet another. Later that week, the kite flew in abandon towards a blue sky, flirting with the birds, skimming over trees and laughing at the children below. The children screamed and ran about in happiness. That afternoon, however, there was a hush in the village. Even the crows seemed to have stopped their raucous gossiping. The reason was soon apparent. Kavin’s kite had got entangled in the branches of a big mango tree. Many sad faces moped about. Most of the fathers were at work, moms were too busy on the fields to help. Late in the afternoon, the distinct ‘tak tak’ sound of Grandpa Scarybeard’s walking stick could be heard. This was worse than the kite being up on the tree. The Grandpa was terrifying and had never been known to speak to any living soul. Tales about the Grandpa had become popular bedtime stories, and his name was used to scare little boys and little girls into obeying and going to bed on time. As the ‘tak tak’ sound grew louder, 15 odd kids hid behind the tree and behind steps and doors. With his sharp eyes, Grandpa Scarybeard had already seen the little monsters trying to rescue their kite. If one observed him closely, one could see his eyes twinkling. And as the children watched, Grandpa came to a stop under the very tree that hosted their kite. Grandpa Scarybeard took out his walking stick and prodded the branches gently and untangled their kite, very slowly. He placed the kite under the tree and went on his way. There was an initial hush, followed by joyous whoops and puzzled looks directed towards the Grandpa’s back. Happiness was in the air. Leaping children, enjoying their summer break, a lonely Grandpa who found loyal friends, and a happy kite that soared higher and higher. Posted on March 3, 2016 by nimi narenPosted in Short StoriesTagged childhood, kites, play time, scary grandpa, summer vacation. A sweet little tale Nirmala. Ha! I bet he flew kites as a child too.